In a crazy, media distracted world the important questions often get lost like: What is your passion? What is your purpose? Who do you want to be? 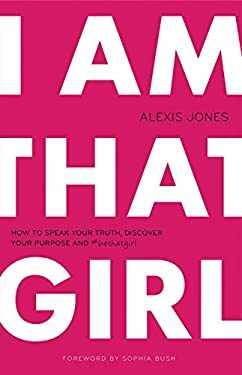 Alexis Jones has built a career listening to and helping girls around the world figure out those questions in order to inspire them to think for themselves, to speak their truth, to discover their purpose, and to dream HUGE Alexis believes that you are not broken nor do you need to be fixed. You already are that girl who creates magic wherever she goes, who lives fearlessly, who inspires those around her to dream bigger, and who will leave the world better, just for having been in it. Stop listening to that voice inside your head that tells you are not good enough. Stop worrying that you dont have the perfect body, perfect job, perfect relationship, or perfect anything for that matter. Stop letting other people draw boundaries and limits around your life. And start living the life that you truly want (now ), the one you did not think you had the courage to imagine, but the one that is absolutely possible Including stories from thirty incredible women, Alexis has compiled everything she has learned into one complete guide to being That Girl, the best version of you. New (234 available) BRAND NEW. Over 1.5 million happy customers. 100% money-back guarantee. Make your purchase count: support Better World Books' worldwide literacy partners.